To mark the launch of Dan Schawbel's terrific Me 2.0 book about personal branding, it's a good time to also mention some of the other job search projects that JobMob contributors have created for you recently. I introduced Dan to you in the past when he invited me to join his terrific Personal Branding Blog. A proven 4-step process for building a powerful brand (discover, create, communicate, maintain). Tips on using social media tools for personal empowerment, confidence building, and professional networking in order to attract jobs directly to you, without applying! Tested advice on how to create an online and offline presence for career protection and self-promotion. Over 40 expert quotes from leaders including Don Tapscott, Guy Kawasaki, Penelope Trunk, and David Kirkpatrick of Fortune Magazine among others. More than 70 research reports, three personal case studies and examples to give you a broader perspective on the topic. Frequent JobMob guest poster and Certified Senior Payroll Professional (CSPP) Moshe Egel-Tal has launched a new website and blog dedicated to his payroll services. The blog in particular focuses on reader questions regarding such issues as understanding Israeli pay slips, employee rights, pension laws and more. Moshe will also be giving another of his paid “Know Your Rights” seminars in Jerusalem on May 7th, 2009 from 10am-12pm at Presentense's offices on 64 Emek Refaim (2nd floor). The seminar costs NIS 250. Please register via email to moshe [dot] israpay [at] gmail [dot] com if you're interested. Another JobMob contributor, Adrian Wajsbrem, recently launched an English job board for Israelis called Happy Zion. The general-purpose job board is updated automatically and it's free for employers to post job openings. You can follow the recent postings via email or RSS, and the Happy Zion jobs RSS feed has been added to The Ultimate RSS Feed Collection for the Israeli Job Seeker. Happy Zion is also the first Israeli job board to post openings on Twitter. 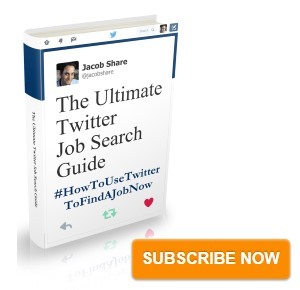 Subscribe to JobMob via RSS or email and follow me on Twitter for the latest news that can help you reach your job search goals. I posted on this book yesterday and it looks fabulous. I work a great deal with the technology end of job seeking as I informally get into counseling with clients when we are working with outsourcing. 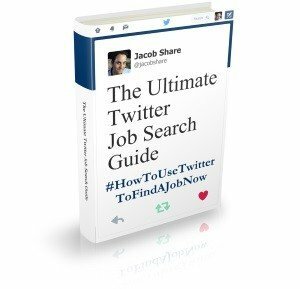 I think that this book will offer a clearer picture into the social media platforms and how to best leverage them for job search success. Also, thanks for the post on username checking tools. I do have a question – do you find that having the same username helps in creating a more recognizable brand? Does having multiple cause issues or water down your branding efforts? Please let me know. Building a brand – personal or corporate – is all about (positive) reinforcement. The more uniform your brand is – same usernames everywhere, same avatar everywhere – the more it will be reinforced. Easier to manage too, with just one username to remember. If I understand what you meant by “cause issues” then yes, you want to make sure that wherever you reuse a username it’s done in a way that harmonizes with your brand. Otherwise, that’s a good place to use a different username. All those authors are amazingly productive.